At The Ledbetter Law Firm, APC, our mission and top priority is to provide exemplary legal services to individuals, families, consumers, and businesses in the areas of estate planning, lemon law litigation, and business transactions and disputes. Our law firm was founded in 2016, after firm founder Thomas Ledbetter spent a decade representing auto manufacturers and dealerships in lemon law and product liability lawsuits. Since our founding, our clients have come to us for trusted and experienced counsel that they can count on year-in, year-out. Whether you are seeking guidance on estate planning, lemon law litigation, or business disputes and transactions, the first step is a consultation to discuss your specific goals and how we can help achieve them. 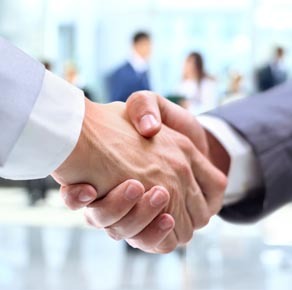 Once you retain our firm, we will further discuss your situation to determine the best legal strategy for reaching your goals, and then we will take all steps to efficiently and effectively obtain the results that you are seeking. Because we strive to provide our clients with the highest level of client service while delivering outstanding results, clients wish to continue working with us. At that point, we assess future goals and develop long-term strategies. We started The Ledbetter Law Firm, APC in order to provide thoughtful, intelligent, efficient, and ultimately winning legal service to clients across Southern California to meet their specific needs and build their futures. Personalized estate planning guidance built around your family’s values. Experienced representation in lemon law cases to win the refund you deserve. Task-based and long-term counsel for businesses in all matters and disputes.